Logistics is a potential sector which have affirmed its great significance in our national economy. Also, there is a high demand of logistical human resources, especially highly qualified employees who are professional and properly trained with practical knowledge. 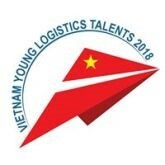 With the desire to create a helpful playground as a base for logistics students to improve both their skill and knowledge and to have chance for real experience, in contact with logistics companies, to the purpose of improving human resources quality, the Import – Export Agency under Ministry of Industry and Trade, in collaboration with Vietnam Logistics Training Network including universities, colleges and other institutions involving in logistics training, have decided to hold the contest named “Vietnam Young Logistics Talents 2018” to the whole nation. This contest promises to attract a great amount of students in economics, international business, and logistics in particular. Moreover, it will have a hand in raising social awareness of this sector, and it is a bridge to make logistics providers come closer to student community, thereby students nationwide has opportunity to meet and to exchange knowledge, skills, help each other during the course of the contest. 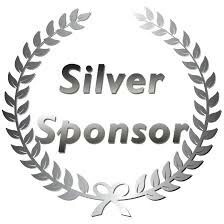 Bee Logistics supports this contest on the role of Silver Sponsor with monetary donation, to introduce and popularize our trademark and reputation to the community, as well as to make access to good quality recruitment sources. On 08/09, on behalf of Bee Group, Ms. Nguyen An Na of HR-Admin Department, Corporate Office attended the conference for launching the contest by the organization board at Hanoi University of Foreign Trade.